I have been disappointed in myself since we arrived in Cape Blanco......disappointed because I have not taken advantage of the great riding conditions here. While all the roads are basically two lanes, there is very little traffic.....even on HWY 101. Finally, Monday, I resolved to get out my Cannondale and ride Cape Blanco Road out to HWY 101 and back....it's a little over 5 miles to 101 from our campsite, so that would have made it a 10 mile round trip ride with plenty of challenging hills to make it interesting, and good exercise. Before all that "fun" could happen, though, it was time to empty the black tank. Whenever it is "black tank time" all you really hope for is that it will be uneventful, and 99.9% of the time it is uneventful just as it was this time around. I love the water pressure here a lot.....it takes no time at all to fill and flush the black tank making the entire process much faster than normal. Once the black tank was dumped and flushed out it was time to get dressed and ready my bike for the ride. 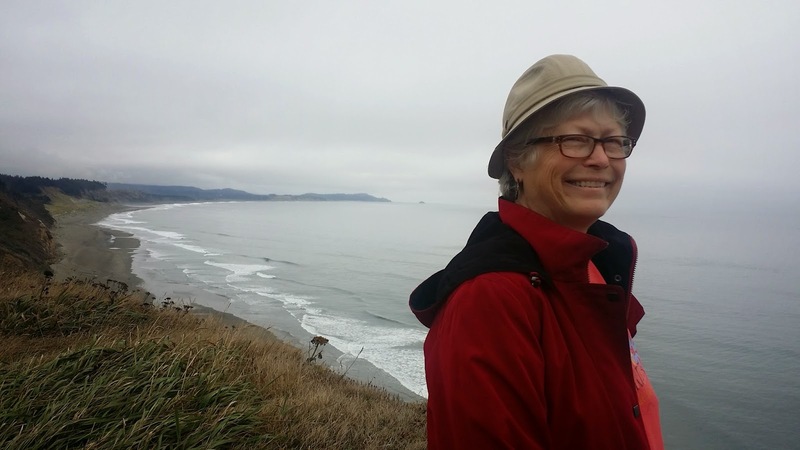 I was on the road by 10 am flying east on Cape Blanco Road towards HWY 101. 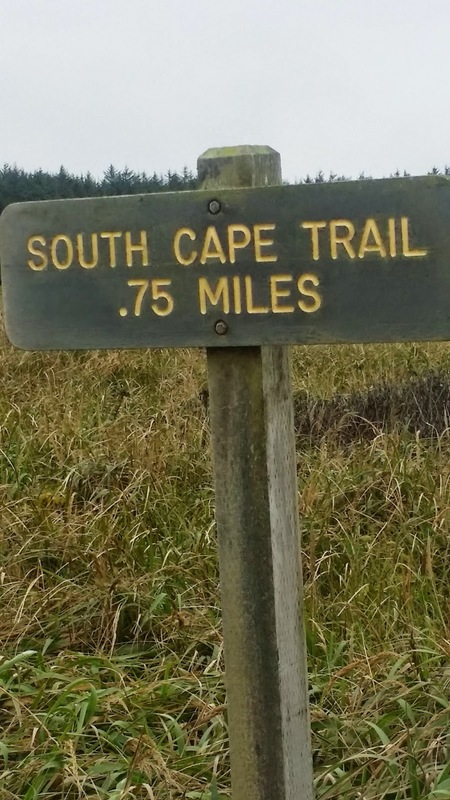 Cape Blanco Road is not flat by any means.....once you get to the turn off for Hughes House it dives steeply at a 9% grade down to the valley where the Sixes River meanders it's way to the Pacific Ocean, then up a similar grade on the other side of the valley for quite a ways. Then it becomes a rolling country highway until you hit HWY 101. 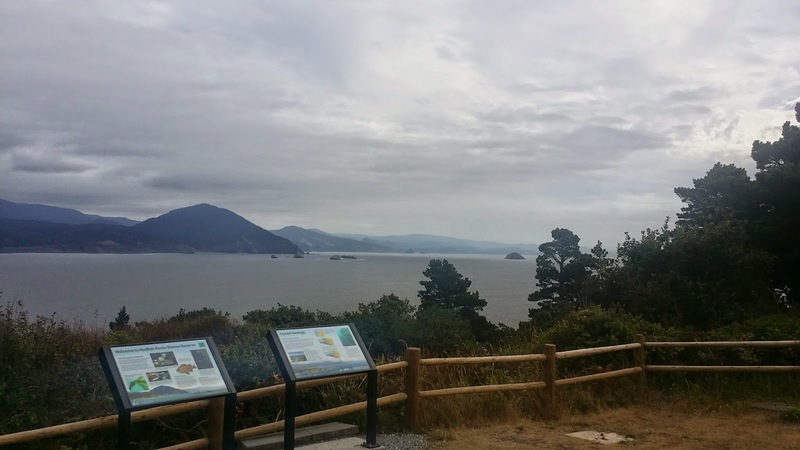 As I came up the last incline to the intersection I was feeling strong and decided on the spur of the moment to ride all the way to Port Orford.....another 5 miles. The shoulder on 101 is pretty wide 85% of the time, but even when it narrows it is still adequate.......except when the very large semi's pass by with their long trailers....then it seems a little close for comfort. Thankfully, the traffic is very light on this stretch of road. 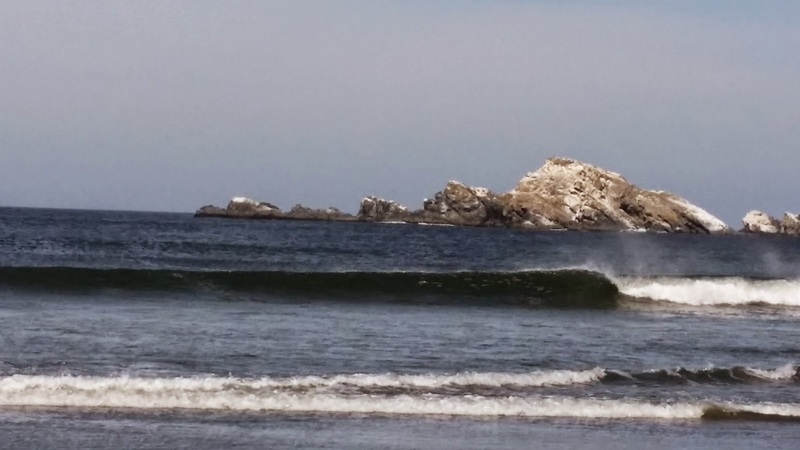 I reached 8th Street in Port Orford around 10:45 and turned around to make the ride back to the Cape. I hadn't realized it, but apparently I was riding south into a slight headwind before making my turn around. Suddenly I was running 17-20 mph going back north when I was happy to hit 13-15 going south, which is kind of weird because the wind out at the lighthouse was coming directly out of the north, and it still is this morning (Tuesday), so I'm a little puzzled. I was back home by 11:30 having covered just over 20 miles, and 1,457 calories gone with the wind.....now to build on this and ride on a more consistent basis. The forecast called for showers most of the afternoon, so I got my bike put away, as well as the camp and lounge chairs. I had no sooner done that when the skies lowered, and the rain came.....a couple of hours sooner than we expected, so the rest of the afternoon was spent inside napping and reading. 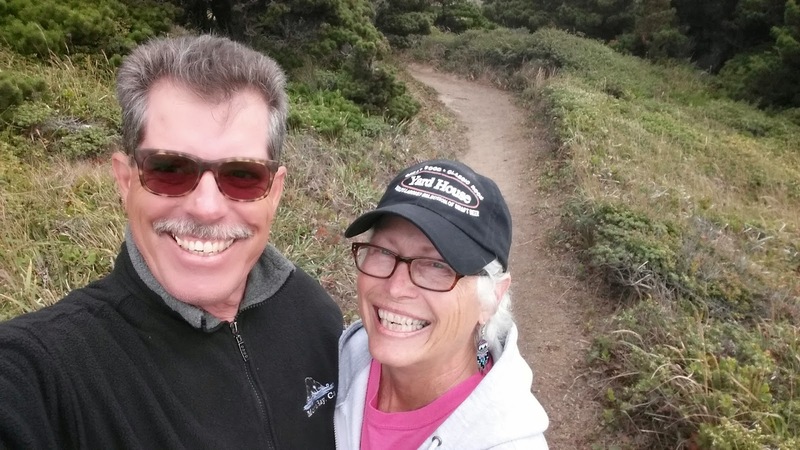 I got an e-mail from our friends Krash and Karen around 6:30 advising they had just arrived in Port Orford, so we are looking forward to seeing them on Tuesday. I watched MNF on ESPN where the Kansas City Chiefs annihilated the New England Patriots....something I did not expect. At 9 we watched Scorpion, then the season premier of NCIS L.A. at 10......thanks for stopping by! 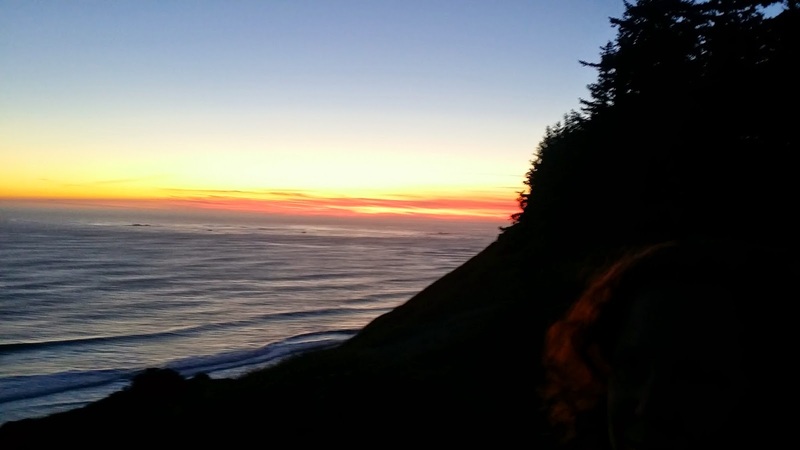 Sunday marked the end of our shift work for the month of September, and also marked the end of Chris and Cherie's stay here at Cape Blanco.....more on that a little later. Acknowledging it is the END of September causes me a little cognitive dissonance.....that it will be my 65th birthday this Friday only increases that dissonance.....lol. This month has just flown by.....it "feels" as if we have just arrived. But, as is my want, I get ahead of myself......Sunday morning I got up to find my phone charger had bitten the dust, and did not charge my Samsung Note3 overnight. This is the second Verizon charger that has bit the dust since I got the phone back in February. To bring a little perspective to this situation, I have never had a phone charger go bad in all the years I have owned a cellphone.....not one! Now I have gone through two in 7 months.....I love my Samsung....it is the best cellphone I have ever owned, but what is it with the chargers? Okay, so what to do? The nearest Verizon store is up in Coos Bay, an hour's drive each way, which is out of the question, because we work the "top shift" and don't get off until 1 pm, and come on now, there is NFL football to be watched and enjoyed.....I need a charger because my phone battery, at this point, is on life support.....the little virtual battery is glowing RED! It is so low that plugging the USB cable into my computer won't even work. Any who.......there was nothing I could do until after our shift ended, so I turned my phone off to save what little charge was left.....I wasn't sure if the problem was the charger, or the USB cable. I had to use TLE's iPhone hotspot to create yesterday's blog entry. So we arrived at the lighthouse around 9:45 am to begin our shift along with Chris and Cherie who had the "middle" shift.......they had originally planned to be here for the same two month stretch that we were, but due to business commitments and workload (yes, some of us still work for a living out here in the Nomad world) it was just not working out for them, so they will be departing by the end of the week. Near the end of our shift all six of us (Paul, Nina, Chris, Cherie, TLE and I) got together for a farewell "usie".....picture courtesy Chris! There will, no doubt, be a lot more hugs given, received, and "until next times" spoken before the end of the week, but this will be the last picture of "our gang" in uniform this time around. 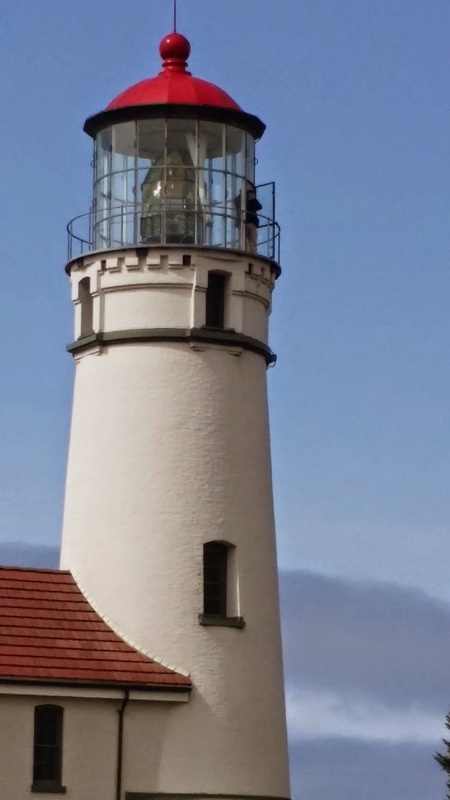 We left directly from the lighthouse to drive to Bandon......we both thought we had seen a Verizon store in town, so we agreed amongst ourselves to drive at least that far.....I did not want to drive all the way to Coos Bay for a battery charger. We drove to the northern city limits and found no Verizon store, which only confirmed what Verizon's website was telling us......NO Verizon store in Bandon. So, we turned around intending to head back to Flat Rock Creamery for some icecream when I remembered that the local TruValue Hardware store had a Radioshack inside the store, and they sell universal chargers, so we pulled in to see what they had. I was able to take my charger and USB cable in, and with the help of the clerk troubleshot my problem to isolate the culprit......was it the charger, or the cable? As it turned out it was, indeed, the charger. They, Radioshack, had generic chargers with a USB port in stock that were compatible with my Samsung phone for $4.50 each, so I bought two giving me a spare the next time the charger fails. Won't it be just a tad bit funny if this $4.50 charger outlasts the two previous Verizon chargers? 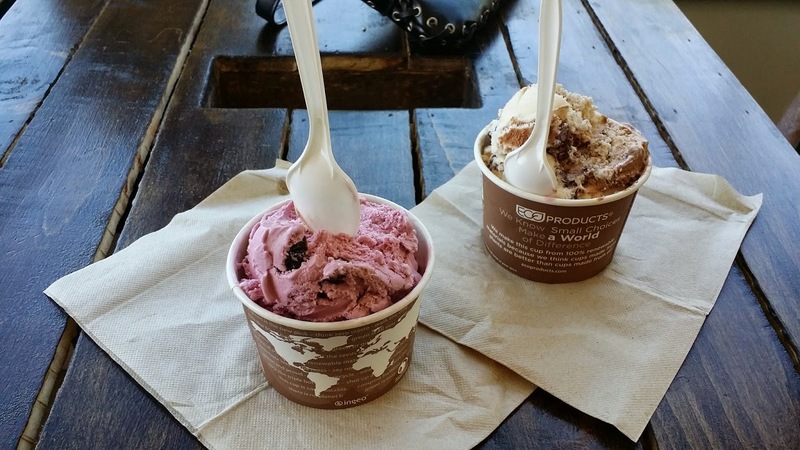 From there we made a beeline for Face Rock Creamery and a couple of $1.50 cups full of our favorite ice cream. TLE chose the "Civil War" (caramel, peanut butter, chocolate and vanilla), and I chose the Bordeaux Cherry.....triple yum.....this has got to be the best ice cream deal ever! Before we left we also picked up some of their cheese.....they allow you to sample every single cheese offering they have, which makes it easy to decide which ones you really like. We were home by 3:20 and shortly thereafter I was ensconced in front of the TV and watching the NFL while my phone charged......life is good.....yep, you're right, it doesn't take much to put a smile on my face. While we were in Bandon we made a "quick" stop at Ray's Food Place for some fresh Coho Salmon, and some steaks.....of course, there is no such thing for us as a quick stop at the grocery store, and pretty soon our smallish basket was full of food items. I started the Sea-B-Que around 6 pm and grilled the Coho Salmon to perfection (8 minutes at medium) and TLE added saffron rice and broccoli/green beans.....a wonderful cap to a great Sunday. The first half of our "middle" shift we spent in the lighthouse....me on the "lantern level" and TLE in the "work room level". In an attempt to learn from my clothing mistake of the day before I arrived at work wearing shorts and a lightweight t-shirt, and that turned out to be perfect with little, or no wind, but once we shifted down to the greeting center for the afternoon portion of our shift the wind had picked up significantly and suddenly I found myself slightly under dressed. Fortunately I had brought along my watch cap, gloves, and my long sleeve Under Armor shirt, but......sigh......no long pants. This is life on the Southern Oregon Coast, and for my part I am slowly learning to prepare for all possible conditions.....every day. Angie and Gary completed their last shift at 1 pm and we said out "until next times" and bid them safe travels....they are north bound to Portland, Oregon. The day started out fast with 124 visitors by 1 pm, but slowed down a lot in the afternoon with only 45 more visitors. I walked out to close the gate a little after 3 pm arriving at the gate just before 3:15. Closing the gate was the easy thing.....staying warm for the next 40 minutes was the hard thing. At the greeting center one at least has some shelter from the relentless wind, but at the gate it is completely exposed. I found myself sitting on the ground behind a mound of earth which gave some relief from the cold, biting wind, but I was wishing I had brought my vest, and long pants. At last I saw TLE walking up the road to the gate with Chris and Cherie and it was time to walk home. As is the case on most Saturdays in the Fall, there were 5, or 6 college football games on at the same time, and I spent the rest of the afternoon, and evening watching one game after the other. USC had the late game starting at 7:30 against Oregon State. It was a 4 point game with 1 second left in the first half when the USC quarterback threw a "Hail Mary" pass into the end zone, which was miraculously caught for a touchdown, and suddenly the lead was 11 points going into half time. Oregon never scored another point while USC scored two more touchdowns in the second half to win 35-10. On more "top" shift to go in September and we are off for 4 days until Thursday.....life is good! Based on the weather we experienced Tuesday we thought it would continue to be windy on Wednesday....when will we learn? The weather here is hard to anticipate, and Wednesday was a perfect example. The day dawned clear with little wind at our campsite, but we both still thought it would be windy at the lighthouse. Normally I would wear shorts and a t-shirt to work up in the "lantern room", but I decided to wear pants and a t-shirt. All the previous days I had been at the top of the lighthouse I had been comfortable because there is always some wind, but Wednesday there was NO wind. With no clouds, and no wind it felt like a sauna set on "low" from 12:30 to 3:30. Thankfully we had a light day for visitors so I was able to descend to the "watch level" in between tours where it is 15 degrees cooler, or step out on the catwalk to cool down. Of course, when the wind dies, and it gets warm the flies love to invade the "lantern room", so I was also spending copious amounts of time swatting flies.....thank goodness the views where spectacular! The last tour of the day finished around 3:40 and it was time to walk home. Two of the Lighthouse Hosts, Angie and Gary, are departing after their "top" shift on Saturday as their one month commitment is up, and Saturday is their last scheduled shift. 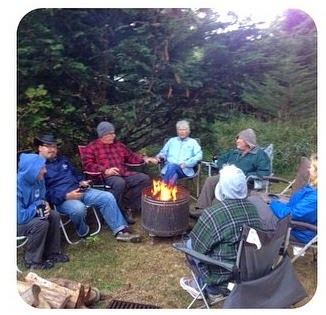 We lit the fire in honor of their imminent departure, and had a few folks over to say goodbye to them. It was great getting to know you Angie and Gary, and we look forward to seeing you down the road....safe travels! In a few days we are expecting the arrival of Judy and Brian who will be replacing Angie and Gary for the month of October, and in just a day, or two we expect our good friends Krash , Karen and Pipa to arrive to spend a few days with the gang.....stay tuned for more adventures! 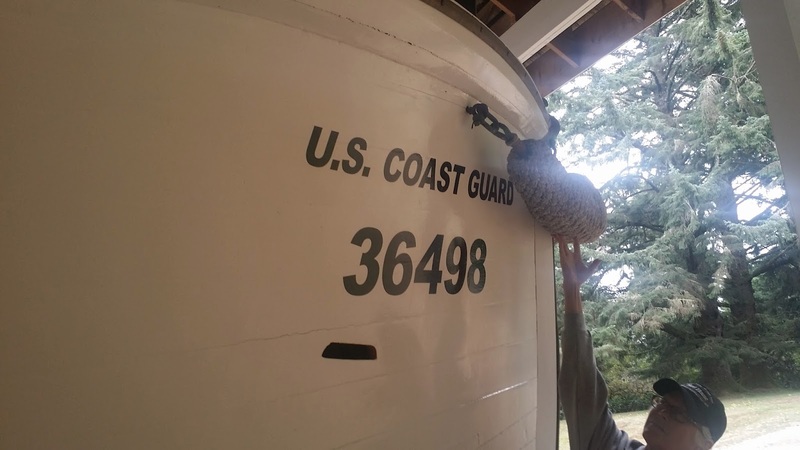 Thursday was a day off before our last 3 days of lighthouse duty in September. We kind of lazed around the "house" until mid morning when, at TLE's urging, we decided to drive into at least Bandon to do some junking, and then decide what to do from there. These are the kind of days I like......just make it up as you go. We left home around 10:30 am and headed north to Bandon passing through intermittent rain showers along the way......this is Oregon, right? Once we were done browsing through the "junk" store we got back in the VW and continued to the northside of town fully intending to stop in at Ray's Food Place before heading back to the Cape, but I got stuck in the right lane and couldn't turn left into the parking lot....suddenly we find ourselves northbound on US 101 toward Coos Bay.....I look at TLE and say "...looks like we're going to Coos Bay".....she replies...."well, it's only 23 miles....let's do it! ".....so we did it. 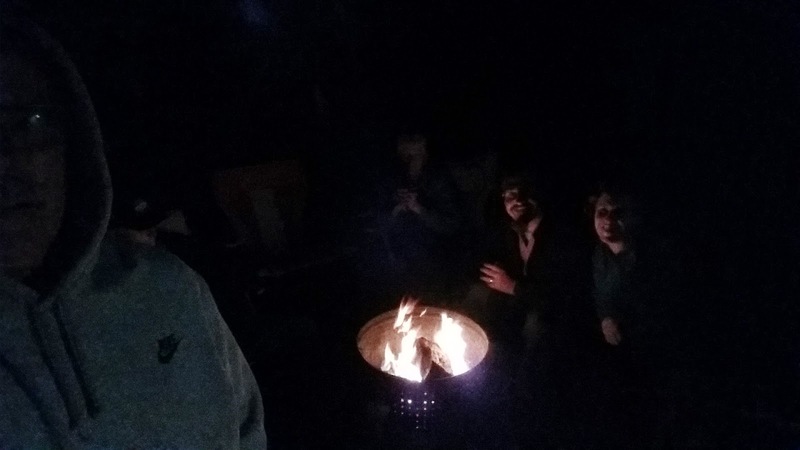 That was the trip that essentially lit the fire in my imagination about the nomadic lifestyle....we covered almost 2,100 miles in that 2 week span.....something we would never attempt today, but it was the beginning. 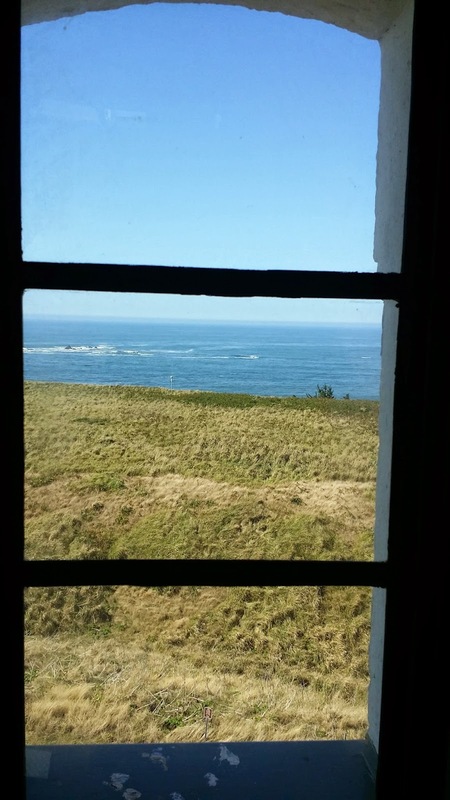 Over the years we have passed through Coos Bay several times as we traveled down the Oregon Coast. As we trundled northward the rain showers came more frequently, and pretty soon we were in non-stop rain. 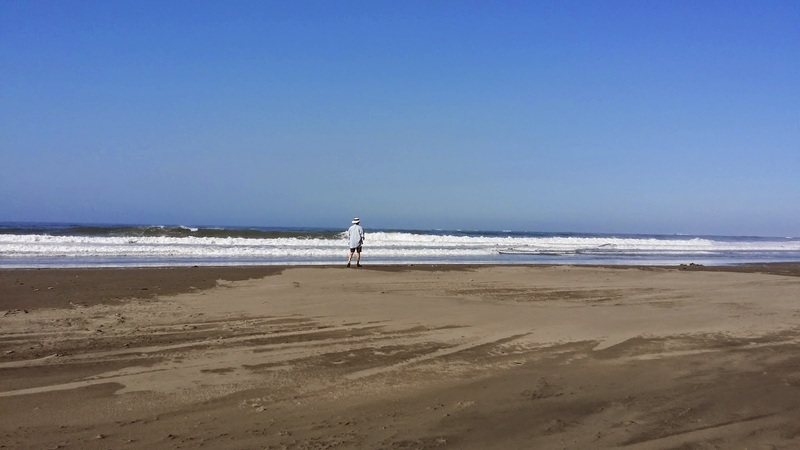 We arrived in Coos Bay just before Noon, and wandered over to the Walmart to pick up some things we just can't get at Ray's Food Place (On The Border taco chips for one), and then over to a local Mexican place called Margarita's Mexican Grill. It had been a few weeks since our Mexican food outing in Bandon, and we had a hankering for some salsa and chips. We chose Margarita's on the strength of a 4 star rating on Yelp, but personally (I'm not speaking for TLE here) I wouldn't give them much above a 2.5. I ordered the Chile Relleno.....I've had Chile Relleno's all over the USA, and, for me, this one was sub-par. The service, ambiance, salsa and chips were good, but that's as far as it went for me.....I liked the food at Rancho Viejo (3.5 stars on Yelp) much better. On the other hand TLE loved her Chicken Enchilada. From there we headed over to Fred Meyer's to buy a few more things, and to get our fuel points up over 200 so we could fill our gas tank for the first time in a month using a .20 cent discount....we ended up paying $3.68 per gallon, and in Oregon you don't even have to pump your own gas! We arrived at Paul and Nina's a little after 4 and said our "Good Evenings" just before 7:30. We watched the season premier of "Bones" after watching most of the NY Giants vs. Washington Redskins NFL game.....another great day on Coastal Oregon. We had 4 shifts left in September beginning Wednesday with another "top shift" (9:45 am to 1 pm). Prior to the start of our morning shift the winds out at the Cape were being clocked at 20-30 mph, so it was an easy decision to drive the car as opposed to walking. Both TLE and I got weather alerts on our phones warning of "high seas", and we were not disappointed. The winds out of the southeast were steady at 26-31 mph for our 3 hour shift, and I spent a lot of time outside watching the large waves pound the shore north of the Cape engulfing many of the quite large rocks.....as I looked south I could see a wind driven mist rising from thundering surf below, billowing up, and over the bluffs........thankfully, the rain did not return, and it was actually not that cold. You can see that the winds are returning to their norm of 30-40 mph as we finish the last week in September. If you are interested in checking in on our wind conditions from time to time just click on this NOAA link. The rest of the afternoon was rather uneventful, and we spent most of that time reading, and napping (yes, even TLE took a nap!). We watched the season premier of "Survivor", and the next episode of "Hell's Kitchen" before calling it "another great day". Sometime around 10:17 pm my L.A. Dodgers clinched their second divisional title by thumping the San Francisco Giants 9-1. The first round of the playoffs begin a week from this Friday, on my birthday, October 3rd. P.S. - A big thank you to Mike, Wil, Glenn and Jeanne who replied to my question about favorite Western authors....I have already followed up on the Elmore Leonard recommendation! Ironically, the first day of Autumn, September 23rd, was ushered in by a major Pacific storm bringing copious amounts of rain and wind. That's about as obvious a change in seasons from summer to autumn one might expect to see.......in SoCal the only noticeable difference between September 22nd and 23rd was the slight drop in temperature from 100 to the mid 90's. 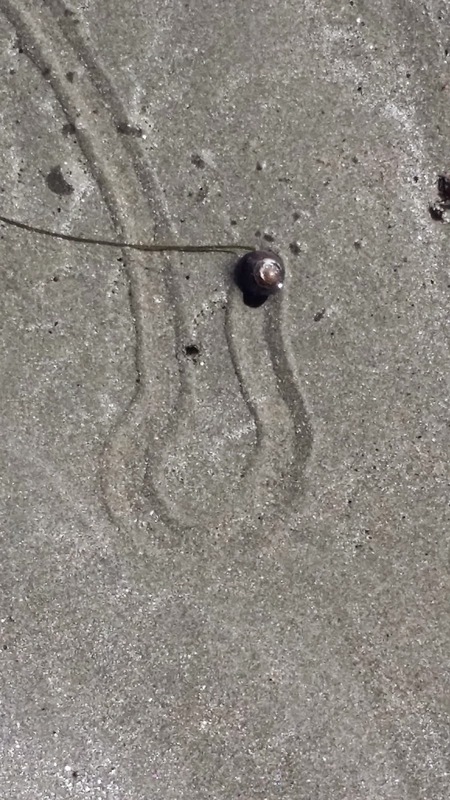 On the Oregon coast you are not left wondering what day was the official beginning of Fall. We have now been here for 3 weeks and are loving all that the weather has thrown at us including September 23rd. Since it pretty much rained all morning, all afternoon, and all night we decided to just stay inside, reading, watching some recorded TV, and watching movies. It was just a day to remain inside where one can be assured they will remain warm and dry. The one movie (DVD) we watched was "The Life and Death of Peter Sellers" (given 3.5 stars by IMDB). I remember when this movie came out in 2004, but never saw it, and having been a life long fan of Peter Sellers' work I was interested in seeing the movie. I thought it would be a movie about his work, but instead it was a movie about his personal life, which was pretty dark and depressing. IMDB gave it 3.5 stars.....personally I'm somewhere in the 2 star range. If you want a good laugh this is not your movie choice! Thankfully I only paid $2 in a thrift store a few weeks ago for the DVD. To be fair the movie did give some insight into his character development process.....I guess like many people who excel in a given field he had this obsessive/compulsive fixation with each character he played, which is why each is quite memorable. As it turns out his second to last movie, "Being There" (1979 with Shirley MacLaine) was ultimately autobiographical, and I would definitely recommend that movie to anyone. Peter Sellers died in 1980 at the age of 54. The local school system held cross country races in the park Tuesday, and I felt a little bit sorry for the participants, as well as their friends and families.....it was a miserable afternoon to run, but you know those crazy Oregonians just ignore the weather and continue on with style. We were kind of excited about the Prime Time lineup for Tuesday night as it had the return of the NCIS franchise, and Person of Interest.....regrettably we only saw three quarters of one NCIS, and a snippet of the second, and none of Person of Interest as the cloud cover became so thick, and rain so heavy we lost the signal for CBS.....most of our other channels came in, but not CBS. I finished reading one book, and moved on to the next....since I have pretty much plowed through all the Louis L'amour books, some 3 times over, I have moved on to another Western author, Ben Bridges, and I am now coming to the end of his body of work. I like westerns.....always have, so if any of you out there have a similar "Western" passion I would be interested in any other authors you might recommend. 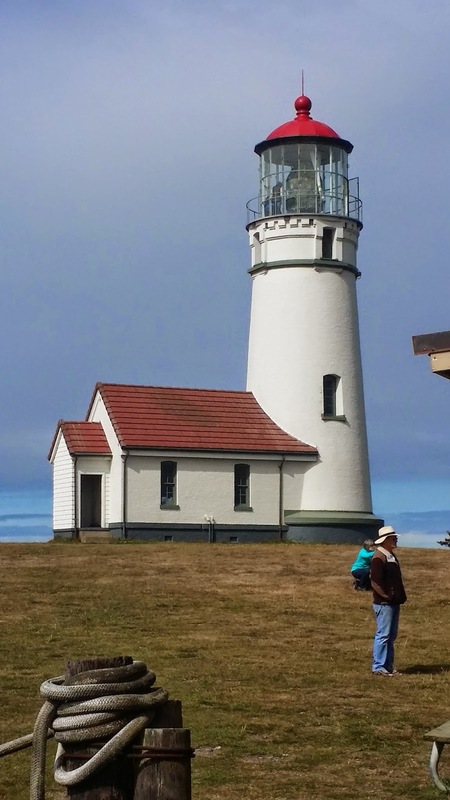 The rest of Monday was dedicated to doing some local exploring of a couple of historical sites.....The Hughes House right here in Cape Blanco, and the Port Orford Lifeboat Station Museum in, of course, Port Orford (the oldest town on the Oregon Coast). 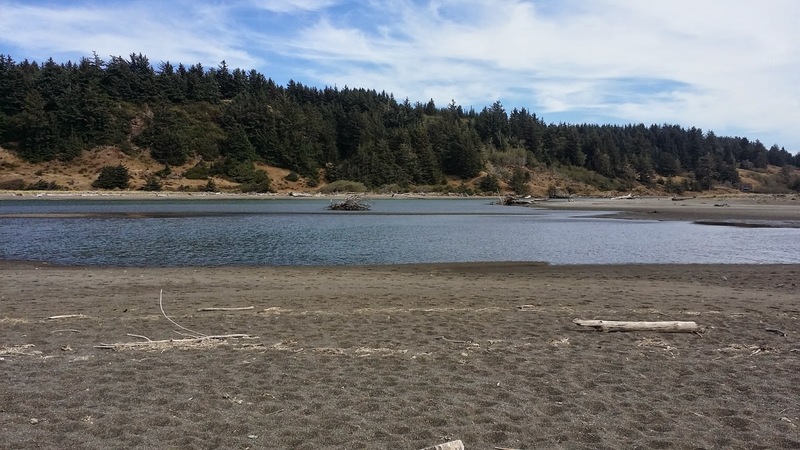 The Hughes House is about 1 mile as the crow files from our campsite, so we stopped there first on our way to Port Orford. Just like the lighthouse, volunteers provide tours of The Hughes House. We learned that the Patrick Hughes family settled in Cape Blanco in 1860, and by 1898 had saved sufficient funds from their dairy farm to build this Victorian home which has over 2,000 square feet of living space. We thoroughly enjoyed the tour and were very impressed with the state of the art appliances and systems that were installed in this home before the turn of the century. Most notable was indoor plumbing, and an indoor toilet. We spent close to an hour with a rather large group of people who had come for the tour before continuing into Port Orford for lunch, and a tour of the Lifeboat Musem. We chose Redfish as our lunch destination, and are glad we did.....Yelp, Tripadvisor, and Urbanspoon give ratings of 4 to 4.5 stars (scale of 1-5) and we would totally concur. 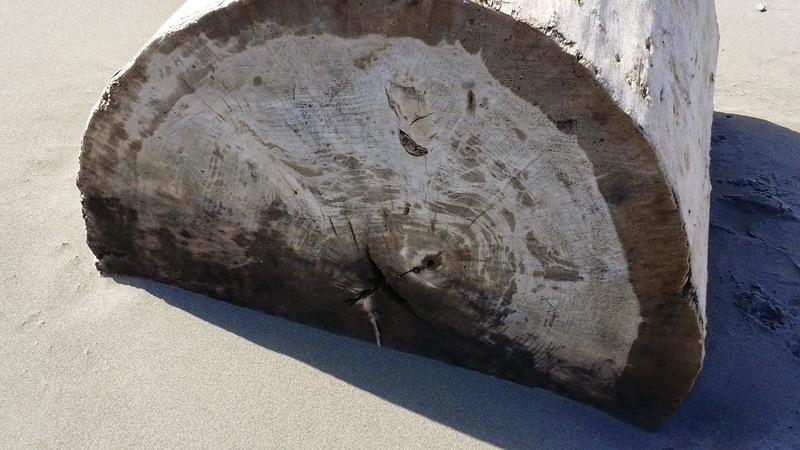 We found a corner table......the photo below is from the Redfish website, and this actually was "our" table for lunch! We arrived around 12:30 and were shown immediately to our table. 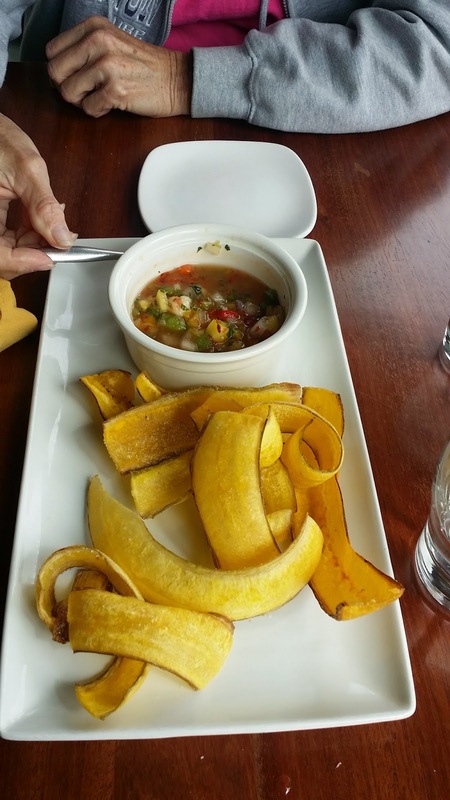 We ordered the Ceviche appetizer which came with fried plantains.....exquisite! For our entrees I ordered the BLT & Bleu salad (basically a BLT with a sprinkling of blue cheese without the bread....yummy! ), and TLE had the Fish Tacos.....also delicious......we basically ate of each others plates. The ambiance and service were both above average. 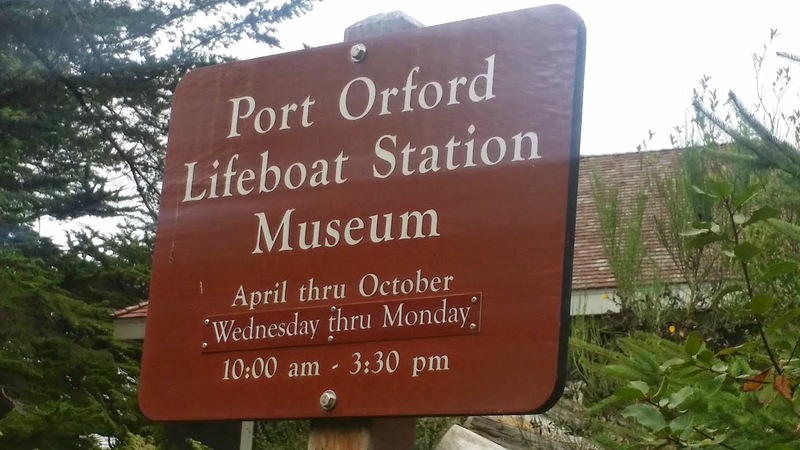 Next up was the Port Orford Lifeboat Station Museum, which was just a couple of miles from the restaurant. This lifeboat station was established in 1934 and served as a rescue station until 1970 when it was decommissioned. Over the years they rescued scores of people from boats and ships in distress. Their motto was "You have to go out....you don't have to come back". "self righting" and "self bailing". in ruins as a result of a fire many years ago. 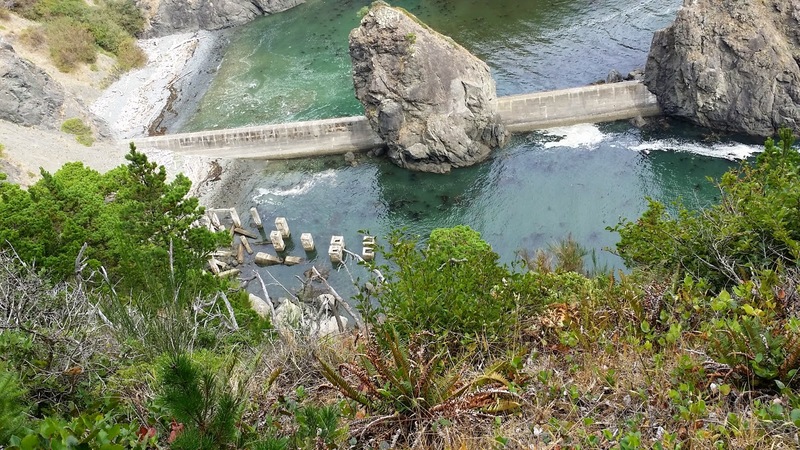 After spending time with our volunteer tour guide (Jeff) going through the many exhibits we decided to take a hike on the "Cove Trail" which meanders along the point where the lifeboat station is for about 1.5 miles....the views were as you might expect. We finished our hike around 3:15 and headed back into town to do some "small" shopping at Ray's before arriving home around 4 pm. Prior to the start of MNF** I took some time to take the trash to the trash can, vacuum out the VW, and clean some old pine sap (from our days in SLT no doubt) before retiring to the coach to watch some more football.....yep, it was another great day! "...and it blesses me to see you have such a grateful heart for the cup 'in your hand' that is indeed "running over".Loving you, Son..."
Then I begin to think about the meaning of those words and realize she has gotten it exactly right.....she has seen right through me. I do find my self living more "in the moment" as the months pass into history. I think less about the past, and less about the future. There is just "now".......as each day passes I realize so much more how debilitating the workaday life can be, and was, when it comes to the "now"......how difficult it was back "then" to live in the moment, because every moment was claimed by schedules, appointments, raising a family, providing for that family. It was not a bad thing.....that is life......you make choices, and those choices proscribe the course of your life. I would not change one single thing about those years of work and family.....the fruit of that time in my life is 5 amazing children who make me proud, and make me smile every single day. Now, as we near the end of 3 years of nomadic wanderings, that life seems so distant.....I know I am not the same person who left Southern California in early February of 2012. I know this is not just me, because I have talked with others, most recently Paul, who feel much the same as I. That life seems so distant now it is almost surreal. "Now" I find myself living this abundant life filled with a new appreciation for each moment of each day. Life seems a little more intense now because of the rich, and colorful tapestry this life creates......a life filled with the camaraderie of like minded souls who "have your back" no matter what may come; who respect you for who you are today, regardless of your background. Okay, I know (as Nina would characterize it) I am getting a bit "philosophical and floppy", but that is an outgrowth of this life. I know this life is not for everyone, but I know it is for us, and I am grateful every day that we have this community of like minded nomads who have embraced all that it means to be a "nomad". Sunday was one more day in a seemingly unending string of great days......I commented to Elaine last night that pretty much every evening I find myself saying "......another great day".....I asked her if I was becoming "trite", and she said "yes, but in a good way.....every day is great, so why not say so?" This may seem to be a rhetorical question, but I want to answer it. 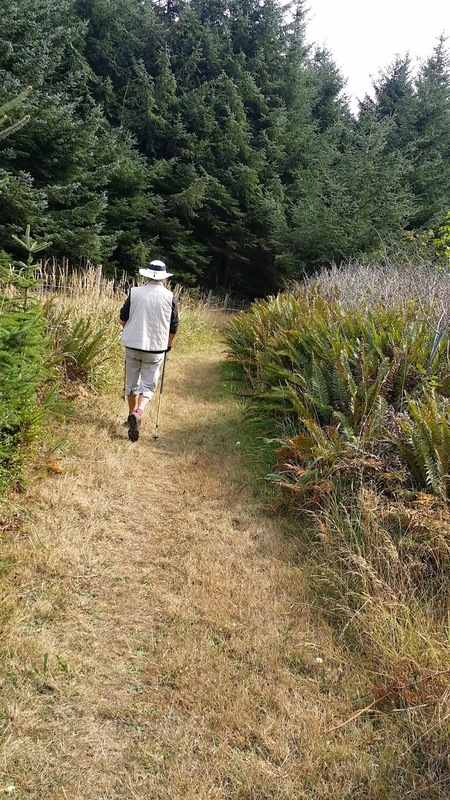 There is not a "single" reason.......there are, in fact, numerous reasons, but the past few days has brought in focus the most important reasons to be here, at this time, in Cape Blanco. I have written on more than one occasion that after it is all said and done it is the people we meet along the way that fill our memories to the point of overflowing. We have met a lot of people in the past 32 months, and some of them, those with whom we have really connected, continue to return to our lives at regular intervals. That Chris and Cherie (Tales From Technomadia) were going to be spending two months here at Cape Blanco was the initial incentive for us to come to Cape Blanco, and then there was the opportunity to be able to meet Paul and Nina (Wheeling It) whose blog I have been following for some time now. Of course, you never know if you will "hit it off" with someone, but I had a feeling we would, and as you now know, we did. The bonus we were not counting on was meeting Gary and Angie (Grandma and Grandpa Squirrel Travel the USA) who are our immediate neighbors to our left (drivers side). There is something about this nomadic existence that is conducive to getting to know someone on a deeper level pretty quickly....for one thing you have a lot of time to talk, and to listen. As a result spending a month, let alone 2, with people you like allows you to get way below the surface, and the friendship bonds that are forged become quite strong. 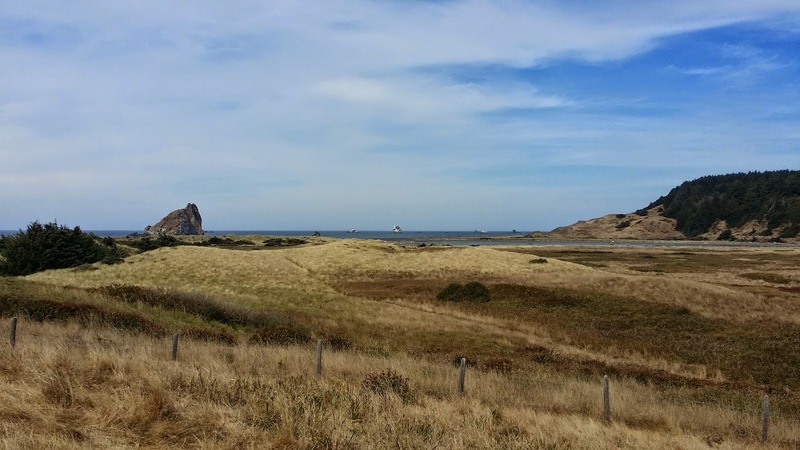 If that was the only reason for being here at Cape Blanco that, of and by itself, would have been sufficient reason to come, but alas there is more! 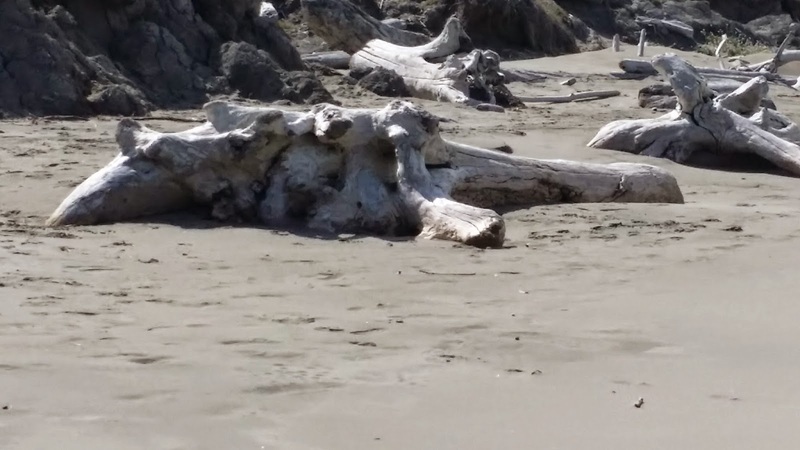 Living at Cape Blanco puts you directly in contact with nature......there are miles and miles of deserted beaches north and south, and we are within a 5 minute walk down to those beaches. If you desire to be far from the hustle and bustle of the civilized world this is the place to find quiet.....no sirens, no airplanes taking off and landing, no traffic, and not many people. 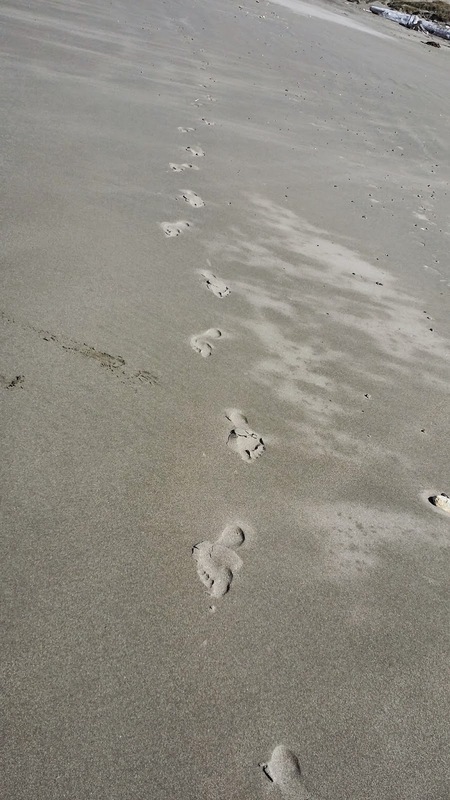 Just walking on the beach for 30, or 40 minutes cleanses your soul, and sweeps away the clutter in our mind. 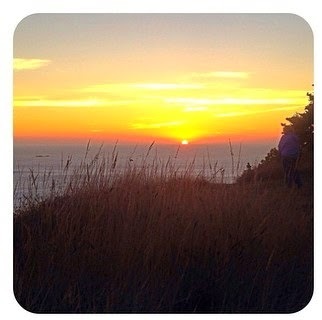 These are the reasons we are spending two months in Cape Blanco.......can you blame us? So, what did happen Saturday? We took a walk on the beach in the morning, then went to "work" at 12;30.....all the time we were surrounded by people we love and respect, the ever present sound of the pounding surf, and big, long picture post card views in every direction......yep, that is pretty much what every day at Cape Blanco has been like....it is difficult to discern the difference between free time, and " work"......why should Saturday be any different? Our 1982 Newell has 3 electric heaters....one in the salon, one in the bedroom and one in the "water bay". The salon heater was replaced when we were visiting friends in West Virginia about 16 months ago. I recently wrote about replacing the bedroom heater while we were at SLT, and Friday it was time to replace the third, and final electric heater which heats the water bay when outside temps get into the "freezing" zone. These heaters have done their job for over 30 years, but eventually they begin to wear out, and if you wait too long you end up with a fire. 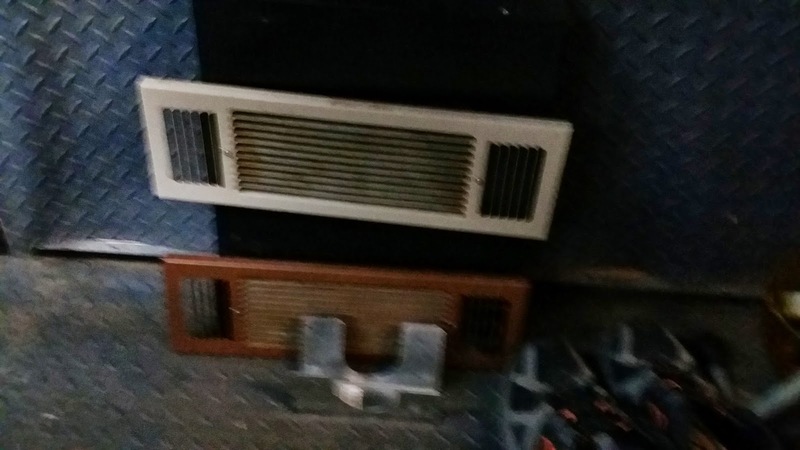 The company that made the original heaters is no longer in business, but I was able to find, with the help of other Newell friends, a suitable replacement called the King PAW (PAW standing for Pick A Watt). It comes set up as a 1500 watt heater, but you can disconnect individual heating elements to reduce the wattage depending on the size of the space you wish to heat. 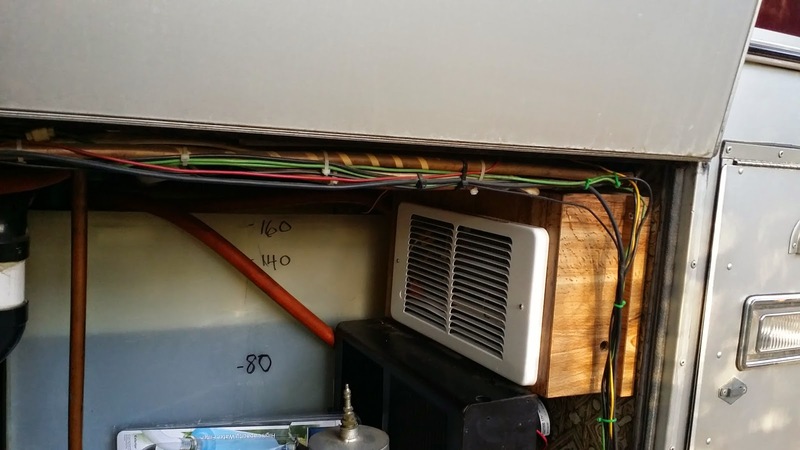 I elected to disconnect the 500 watt heating element to reduce the wattage to 1000 for the water bay as that is what the prior heater was set at. I waited for a day off to install the final heater, because just as with the first two it was necessary to make the opening in the heater box a few inches larger to accommodate the slightly larger dimensions of the King PAW, and the area where this heater is installed is quite tight. In other words, I wanted as much time as would be needed to get it done right with no rushing around. I had to reroute a few wires, but in the end it came out looking pretty nice. By the way, the black device just below the new King PAW heater is the "chassis" heater.....I sometimes use this heater while in motion on super cold days....it works off the radiator coolant and does a very good job! By the time I wrapped up my work on the new heater it was after 1 pm.....see what I mean? 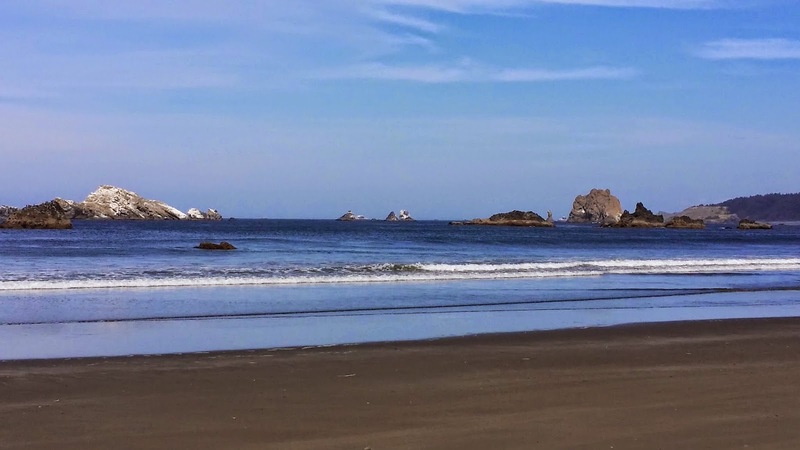 I took a short nap, then a shower so we could make a run into Port Orford to deposit some outgoing mail at the Post Office, and then make a quick stop at Ray's Food Place.....well, a quick stop was our intent, but for some reason going to the supermarket is never a quick stop. 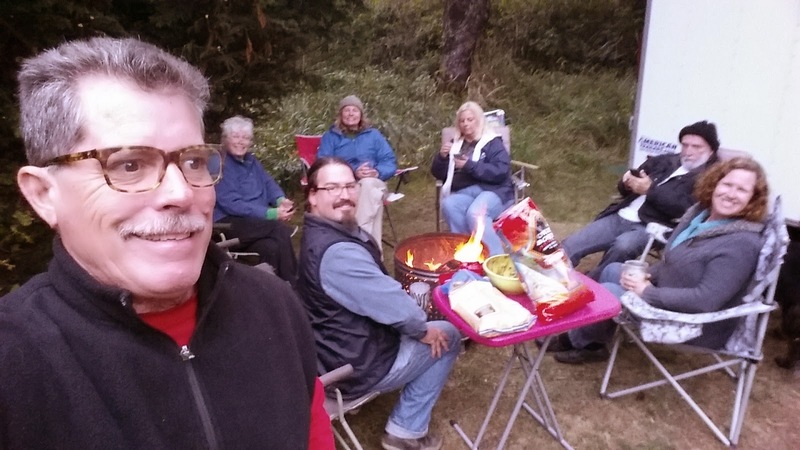 We find ourselves enjoying the weather that seems to be typical here on the south Oregon coast in September.....low wind days, little fog, and very moderate temperatures. We know that eventually the prevailing winds will switch around to begin blowing from the south, and then winter will not be far behind. For now, however, we are blessed with moderate days, and not very cold nights. When we go to bed I open my window and note that the temperature is usually in the mid 70's in the bedroom.....when I wake up around 6 in the morning it has only dropped to 66-69 during the night.....sweet! 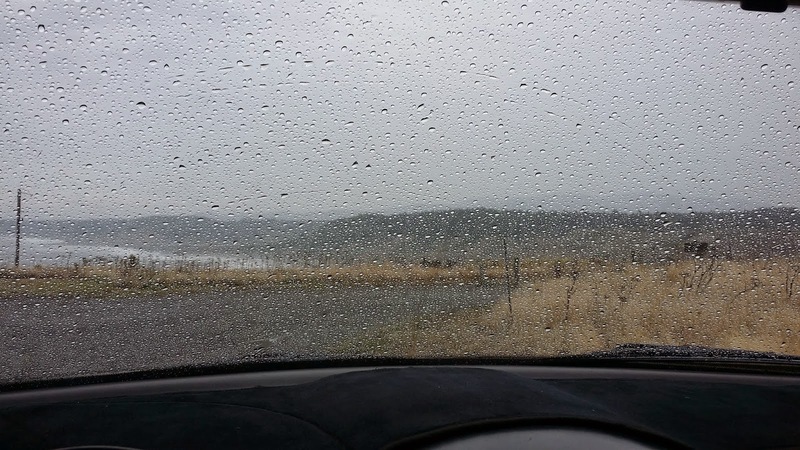 We take the weather forecasts for Cape Blanco pretty seriously as I have previously reported, so when we saw there was a 60% chance of rain before our morning shift would end we dressed accordingly, and also drove the Beetle to work once again. What we got was as opposite as you can possibly get.....mostly clear skies, light wind and NO precipitation. Within minutes of arriving for duty TLE and I were removing several layers of clothing.....with no rain, lots of sun, and very little wind it became uncomfortably warm wearing two "Under Armor shirts, a vest and the Cape Blanco jacket. I'm not complaining.....it turned out to be a magnificent day at the lighthouse....probably one of the nicest days to date. The views were mesmerizing.......and most of our 80+ visitors during the "top shift" were just as taken as we were with the view. It was the kind of day where I found myself engaged in many interesting conversations with visitor after visitor, and before I knew it Chris and Cherie were there to take over the "greeter" and "story teller" jobs, and we were free to head for home. 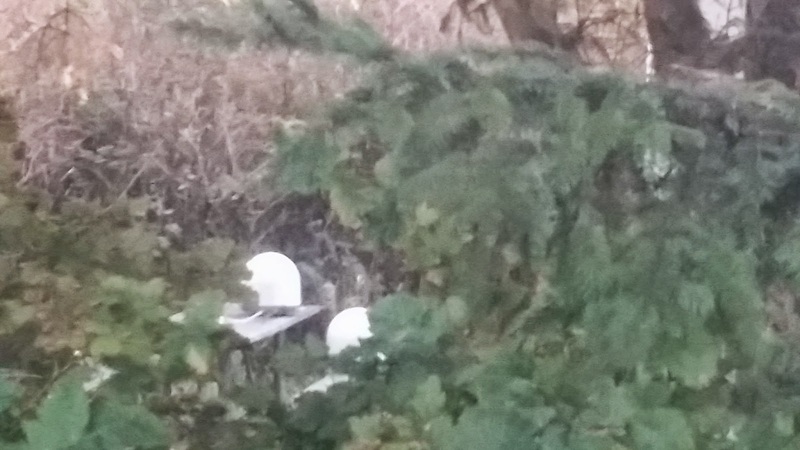 I'm not sure it I mentioned it, or not, but I received the Winegard Carryout G2 automatic satellite dish I ordered from Amazon on Monday, but hadn't had a chance to set it up yet. Well, Thursday was the day, and was it ever easy! I connected the cable and the power to the unit, and before I was able to walk back to the coach we were getting DirecTV! All I had to do was plug it in and it did the rest of the work! Winegard Carryout G2 in service! 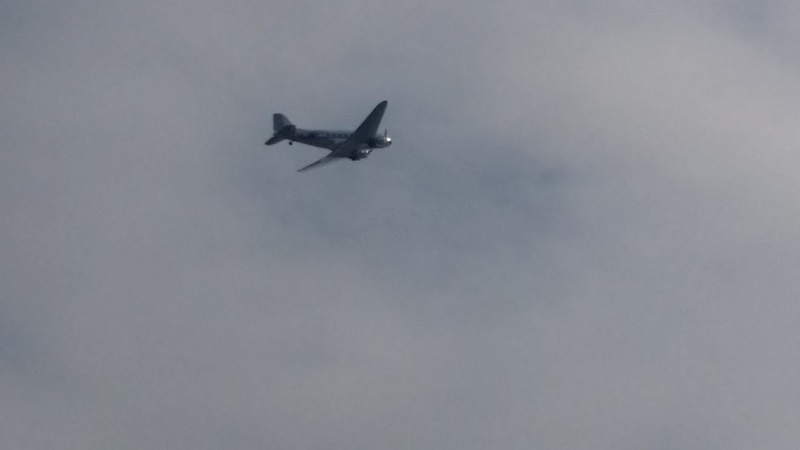 Now we don't have to piggyback on Gary and Angie's anymore, and if we ever have a problem with a view of the southern sky again we have an easy solution! Chris and Cherie (Tales from Technomadia) created this collage of pictures from Thursday which pretty accurately reflects the day in just four pictures. The lower left picture in the collage is of particular significance....here we are seen talking with Forrest and Mary Clark.....this is the first time we've seen them since late June of 2013 back in Spearfish, SD. As has always been the case when we cross paths with friends on the road it is as if no time has passed at all. They had arrived sometime in the afternoon and when we walked down to the "phone booth" to watch the sunset with everyone there they were! What a great surprise! What a great way to end the day.....conversation with good friends accompanied by an extraordinarily long, gorgeous sunset. Sooner, or later it was bound to happen......in fact I'm surprised it didn't happen much sooner considering where we have been the past two weeks. On the Oregon coast one would expect there to be overcast (which we have had in abundance), fog (occasionally), and rain.......yes rain! We have had a lot of sunny days, but nary a drop of rain until Wednesday about mid morning. When we lived in SoCal and saw a forecast saying 60% chance of rain we laughed derisively, and went on about our business. 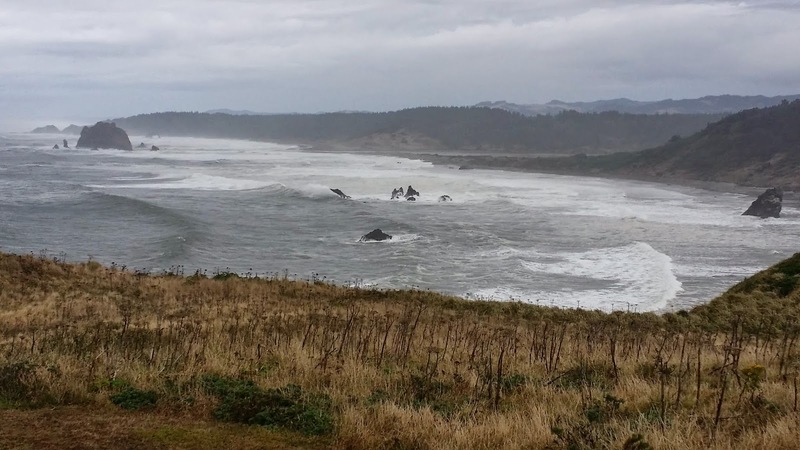 Here on the Oregon Coast even a 40% chance of rain is taken seriously, and indeed it rained as forecast......nothing torrential mind you, just a steady drizzle the rest of the day and into the evening. Wednesday we had the "middle shift" at the lighthouse and, normally, we would have walked, but since we were taking the 40% chance seriously we opted to drive the Beetle to work. The first half of our middle shift we worked in the lighthouse (TLE in the ground floor "work room" and me in the "lantern room"). By 11 am there were drops of rain on the safety glass in the "lantern room", and by the time lunch rolled around at 12:30 it was raining pretty steadily. We sat in the VW eating lunch, listening to the rain on the roof for 30 minutes, then headed back to the Greeting Center to take over the "Greeting" and "Story Teller" roles for the afternoon. TLE spent the majority of her time inside the center doing her story telling, while I huddled under the entry way overhang trying to stay mostly dry, and I was mostly successful. Surprisingly we had 101 visitors by 1pm, and ended up with a total of 151 for the entire shift.....way above what I was expecting for a rainy day. One might say....."well, you know those Oregonians......weather is not a deterrent to them".....and that might be true to an extent, but there were a quite a number of international visitors this day, as well as "out of staters" who were braving the elements to visit our lighthouse. By 3:15 it was time for me to drive out to the main gate to close it (the last tour of the day begins at 3:15), and then let out the visitors as they exit the park. By 3:40 the last of the day's visitors had exited, and TLE and I were on our way home. We spent the rest of the drippy afternoon inside reading......well that was what TLE did....I watched a few episodes of "American Pickers".....what a great way to spend a rainy afternoon.....watching people look through other people's junk! 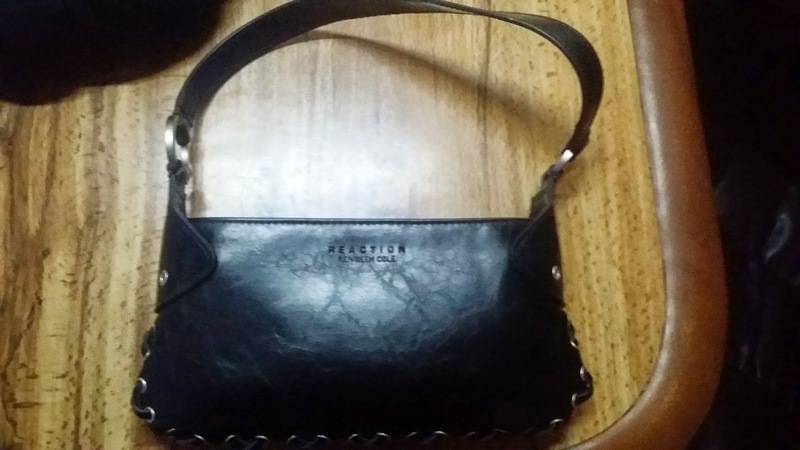 We finished off the evening watching "Hell's Kitchen" and then a few recorded episodes of "Fraser"......Fraser just makes me laugh....at lot.......and I love going to bed with a smile on my face. 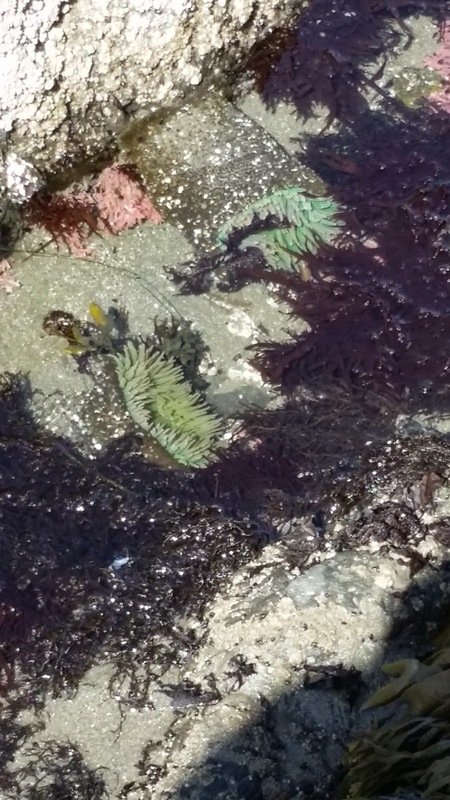 Since our arrival at Cape Blanco back on September 3rd we have wanted to hike down to the beach near the lighthouse to see the tide pools at low tide. Tuesday was the day we decided to take the plunge. We left on our open ended adventure around Noon:thirty, and of course, we hiked over to the Coast Trail (takes you down to the beach) via the Cape Trail, which we use every time we work at the lighthouse. 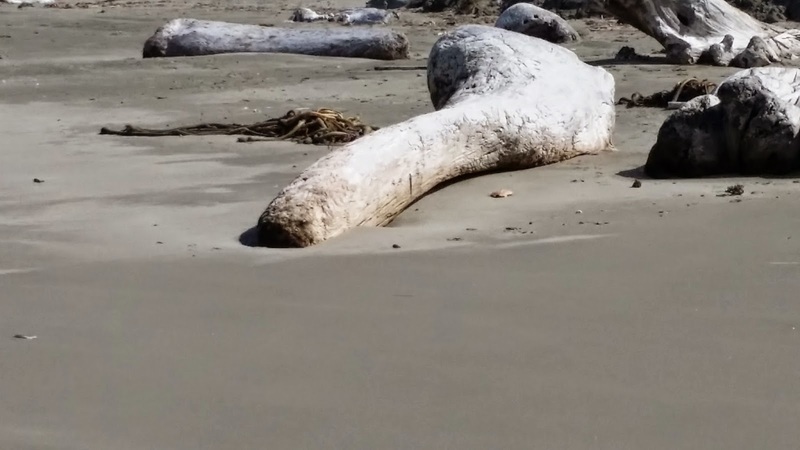 This bit of large driftwood had the uncanny resemblance to a dinosaur bone yard.....what do you think? 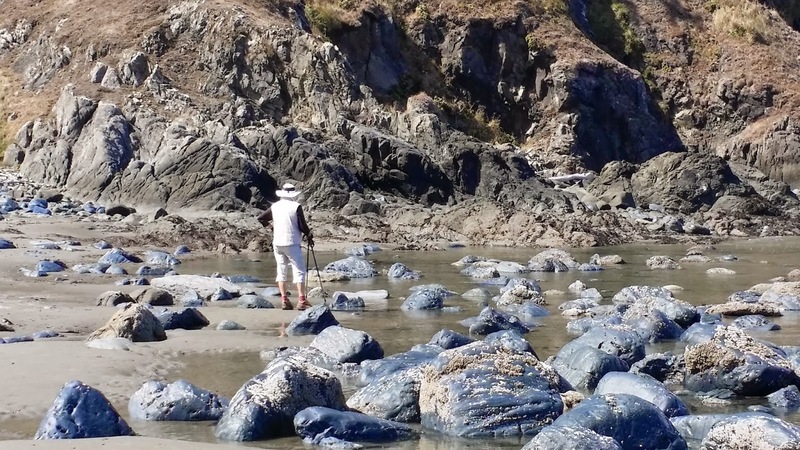 Our original intent was to just spend some time at the tide pools and then hike back the way we came, but on the spur of the moment we decided to hike north along the beach to the mouth of the Sixes River. With clear skies and a light breeze it was the perfect day to just stroll along the beach talking, enjoying our environment and each other. Eventually we came even with the outlet of the Sixes River and decided once again to change our plan. From talking with Chris and Cherie, as well as Paul and Nina, we knew there was a trail leading from the beach up to the Coast Trail, and sure enough we were able to find it.....we decided to make our walk a large "loop" and take the Coast Trail up to the top of the bluffs, back to the main highway, and then back to the Newell. 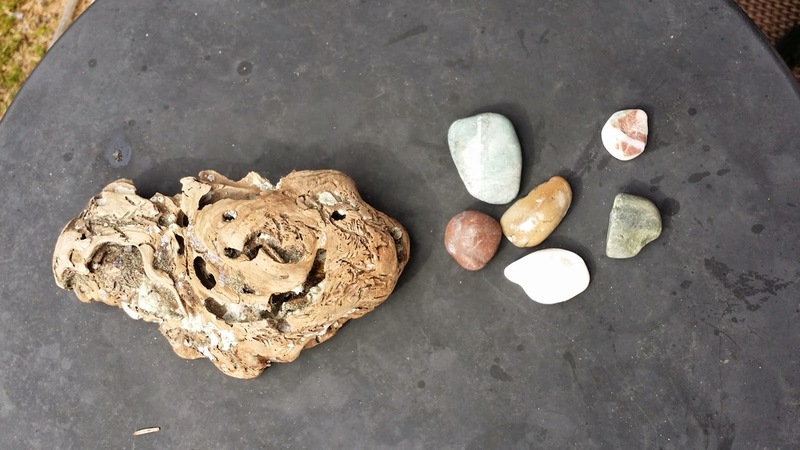 In all we were gone a little over 3 hours and covered just over 5 miles.....TLE found a few things along the beach she couldn't do without.....a cool, yet small piece of driftwood, and some agate. After arriving back at the coach we spent some time outside in the lounge chairs cooling down from our hike before heading back inside around 4 as the outside air began to cool. We spent the rest of the afternoon reading with a nap for me thrown in for good measure. "If you don't like the weather...."
The "Art of Not Expecting"